This Thursday I will present the third segment of the 3rd Quarter Wrap Up, which is my overview of financial markets year-to-date combined with the third 2017 Blockbuster Chartology from Rambus. We will discuss what has happened this year and what the charts and outstanding technical analysis from Rambus indicate about current markets for the US dollar and global fixed income and equity, as well as for precious metals. You can follow along with the 2017 charts in the “Financial Market Round Up”section in the 3rd Quarter Wrap Up web presentation and with links to the latest Blockbuster Chartology. You will be able to link back to find all the Rambus quarterly reports over the last two years. In Let’s Go to the Movies, take some time this coming week to watch the History Channels documentary on directed energy weapons. The documentary provides a general introduction to this type of weaponry. 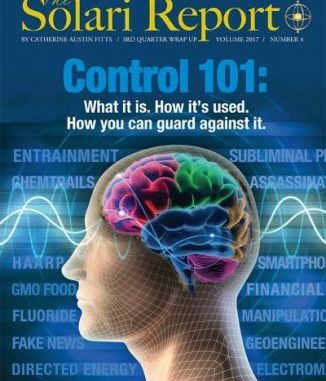 Directed energy weapons are often discussed in connection with unanswered questions regarding the 2001 destruction of the twin towers of the World Trade Center. There is renewed interest in connection with growing unanswered questions regarding unnatural fires this year in Northern California, Greece and elsewhere. It’s the last week of the month so no Money & Markets. If you are not a subscriber, and would like to be, you can join here.